Selected for you for the Yorkshire Day Exchange - hope you like it! Yummmmy, these recipes seem so good, I can´t wait to start cooking! The pictures are simply lovely, too. Thanks! Going to travel as part of the Secret Santa Exchange! I opened my parcel when it arrived today, I didn't realise it was Secret Santa (sorry) but glad I opened it. The snowman wreath is now sitting on top of the tree and the other Christmas decorations are scattered on the branches. I have the red sweets all in an ornamental glass upon the table and the chocolate tucked under the tree for when I curl up to watch a Christmas film. The note book is gorgeous, I love maps - I've even asked for one on my Christmas List! I'm looking forward to making these recipes (although it may put a dent in the diet! ), especially the oat cakes which my northern flat mate is always raving on about! I've added this to the bookmark bookbox. 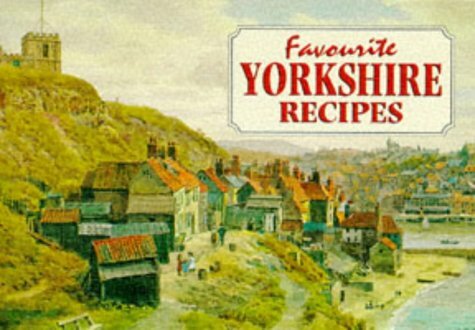 I loved some of the recipes in here, it certainly improved my Yorkshire puddings. Thanks for taking the time to journal this book. Bookcrossing aims to keep books moving and meeting to readers, firstly to spread the love of reading but also so books don't just aquire dust for years on end. I hope that you enjoy reading this book and when you have finished with it that you are able to pass it to a new reader or leave it somewhere for somebody new to discover. Livre arrivé avec la bookmark box. Yummy... Je recopie quelques recettes avant de l'envoyer plus loin. Going to Germany in the bookmark box. I found it in the bookmark box and thought that it must stay with me for a while. Thanks very much & for the gifts. Left in the Upstairs Downstairs café above the Deli.